Used BMW 4 Series Review - 2013-present | What Car? 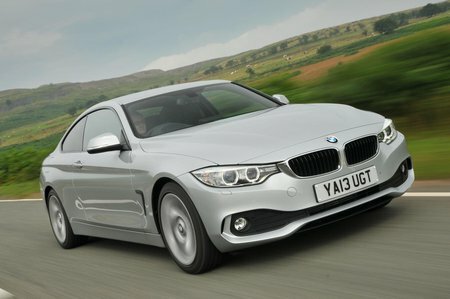 What's the used BMW 4 Series coupe like? The recipe for the BMW 4 Series is really very simple. Take a freshly baked BMW 3 Series; lop off two of the doors, smooth out the roofline and add a little extra girth around the edges. Hey presto: a two-door coupe that, while obviously owing plenty to its saloon progenitor, nevertheless looks the part. 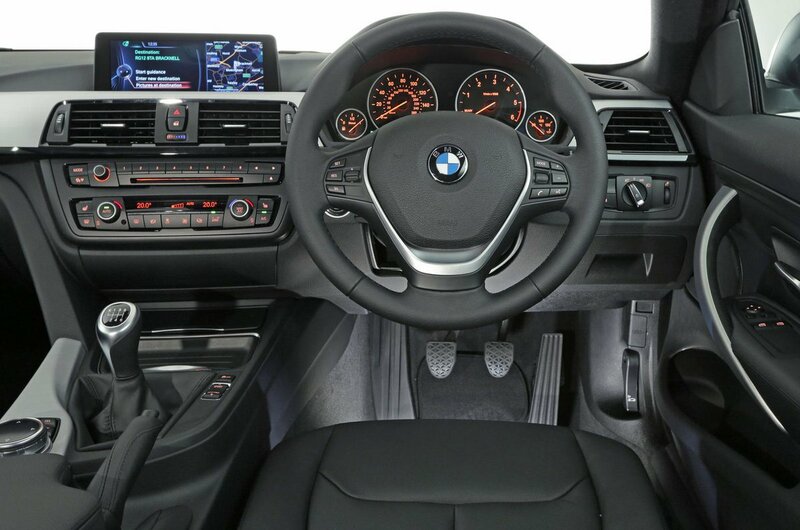 The 4 Series isn’t just a class act on the outside, though; within, you’ll find a suave interior that’s laden with high-quality materials and an easy-to-use infotainment system. It’s roomy in there, too, thanks in part to that saloon car lineage; you’ll find rear seats with space enough for two adults to spend a journey in reasonable comfort, while up front there’s oodles of space and lots of neat little cubbies in which to store bits and bobs. But it’s in its driving experience that the 4 Series Coupe really stands out over rivals such as the Audi A5 and Mercedes C-Class. Responsive, accurate steering means the nose is easy to point in whichever direction you might desire; what’s more, rear-wheel drive means the 4 Series has a sense of balance that few coupes can replicate, while the low centre of gravity means that the 4 Series always feels planted and secure even in high-speed bends. What’s even more impressive is how well the 4 Series manages to factor comfort into the equation as well – although we’d recommend sticking to the smaller wheel sizes because the larger wheels with their skinnier tyres start to make things feel a little lumpy. Choose carefully when you’re picking which engine you want, too; while there’s a huge choice, the smaller engines can be rather noisy. The engine range was revamped in 2016, with the range-topping 435i dropped in favour of a newer 440i model, as well as some detail efficiency and performance tweaks to several other engines in the range; a facelift in 2017 brought some very minor styling tweaks and specification changes inside and out.